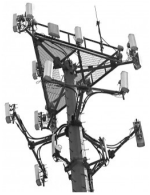 At&t wants to lease a piece of my commercial property land to build a cell tower. They are asking for 100ft by 100ft, and offer to pay $800.00 per month for twenty years. This property is located on Nolensville Pike Nashville TN 37211. Is this a good rate? Editor's Note: We edited the exact address to keep the location private. I just sold two properties that I held for 20 years for ten times what I paid for them, or 30 times the annual income from the tower rentals. Now I'd like to do it all over again. that is buy a small piece of property and lease it to a company that wants to build a tower on it. I'd like to do a tax free exchange to avoid the tax on ly gain. Note one thing when you counter offer. If you loose this, you will not only loose monthly income, but a potential major asset. These leases have become investment instruments for third party lease buyers(WCP, Landmark Div,Unison, ect= resellers). 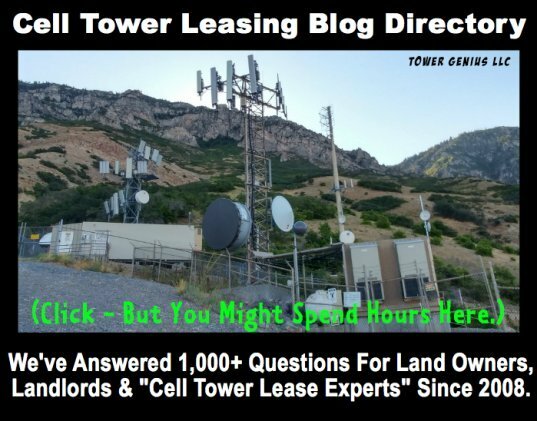 Once they buy you out, they resell to the large cell tower operators like Crown castle and American Tower at a massive mark up. Which will by direst from you. On my prime Los Angeles site, where I receive a bit more than $4,000 per month, with 3% annual increases from two major carries, (one of them has been with me since 1988) I have been offered in the range of 10 to 18 times the annual income by resellers over the last 7 to 8 years. Crown castle is the highest bidder to date. I would counter offer with a reasonable rent and annual increase. The location is outstanding, and because your site is tucked away and has a nice tree buffer between residential homes it is one of the better locations in this search ring. With that being said there are a few other potential locations where AT&T can go. You do not want to commit to a price with them yet. You want them to provide you with their architect's drawings first before you negotiate business terms. If they push back on this then you are probably not the prime candidate. No other way to find this out. 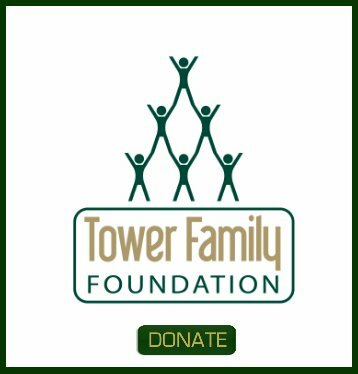 The site is worth more than what they are offering but any tower built here will be a multi-carrier site, and it is important to get the lease structured in a way that will allow you to benefit from the growth of the tower. Sure, you can take the $800 per month if you are afraid of losing the deal to someone else, that is what they are hoping you will do. There is no way you should lease it for less than $1,000, but please call us during regular business hours at 888-313-9750 to discuss specifics.